Equity is a key policy objective in many publicly funded health systems across OECD countries. Policymakers aim at providing access based on need and not ability to pay. This chapter focuses on the use of waiting times for studying inequalities of access to care. Studies of inequalities in waiting times by socioeconomic status are relatively rare, the traditional focus being on measurement of inequalities in healthcare utilization. Waiting time data are readily available for the analysis through administrative databases. They are commonly used for reporting on health system performance. Within publicly funded health systems, the duration of the wait is supposed to be the same for patients with different socioeconomic status for a given level of need. Patients with higher need or urgency are supposed to wait less based on implicit or explicit prioritization rules. A recent empirical literature seems however to suggest that within several publicly funded health systems, nonprice rationing does not guarantee equality of access by socioeconomic status. Individuals with higher socioeconomic status (as measured by income or educational attainment) tend to wait less for publicly funded hospital care than those with lower socioeconomic status. This negative gradient between waiting time and socioeconomic status may be interpreted as evidence of inequity within publicly funded systems which favors rich and more-educated patients over poorer and less-educated ones. 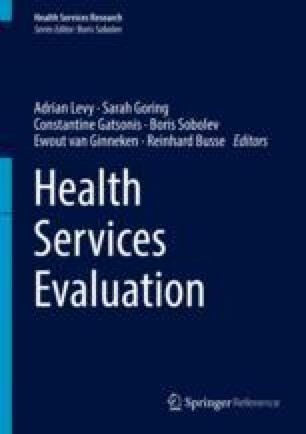 The chapter provides an overview of methods and data to investigate the presence of social inequalities in waiting times and highlights key results. Siciliani L, Moran V, Borowitz M. Measuring and comparing health care waiting times in OECD countries. OECD health working papers, 67. OECD Publishing; 2013b. https://doi.org/10.1787/5k3w9t84b2kf-en.